One of which regimen is called egg fast and more and more people are joining the egg wagon. But what is an egg fast? How can I follow this diet? Can I shed pounds just by following this diet? Do you want your body to be bikini ready for the summer or you want to lose extra pounds before your wedding? You can achieve your ideal body fast and without spending much money on gym membership and even food. Keep on reading, and I will tell you how you can successfully do your diet successfully. An egg fast is a low calorie, low carb, and a protein-packed diet. Since it is a low calorie and protein-packed diet, it promotes weight loss and muscle building. As the name suggests, people who are going to try this diet plan will have eggs as their only source of protein. Fruits, vegetables, bread (yes, even wheat! ), pasta, and foods that are high in carbohydrates and sugar must be eliminated entirely from your diet. This fast usually lasts from three to five days. Jimmy Moore, who, did the diet for 30 days. A lot of people are following the diet since they have given them surprising results in just days. And most people who are on Keto Diets and LCHF usually do a 5-day egg fast to get rid of their weight loss stall or their stubborn pounds. 1. Thou shall consume eggs (ONLY eggs) as your main source of carb, fat, and protein. 2. Thou shall consume a tablespoon of cheese or butter (or different sources of fatty acids) for every egg you eat. 4. Thou shall eat your prepared egg dishes every 3 hours but must not exceed 5 hours. 5. Thou shall eat an egg within the 3 to 5 hour period whether you are hungry or not. 6. Thou shall consume only one ounce of cheese per egg serving. 7. Thou must eat half-dozen eggs per day. 8. Thou must take a multivitamin daily to get the necessary vitamins and nutrients. 9. Thou must drink at least 12 glasses of water daily. 10. Thou shall consume the last egg for the day 3 hours prior bedtime. The egg fast routine is also one of the most effective ways to shed some pounds. However, it is not the safest way to get rid of those unwanted pounds since your daily caloric intake would fall below 1,000 calories per day. According to medical experts and dietitians, it is not ideal and unhealthy for women to consume less than 1,200 calories per day while it is unhealthy for men to consume less than 1,500 calories per day. 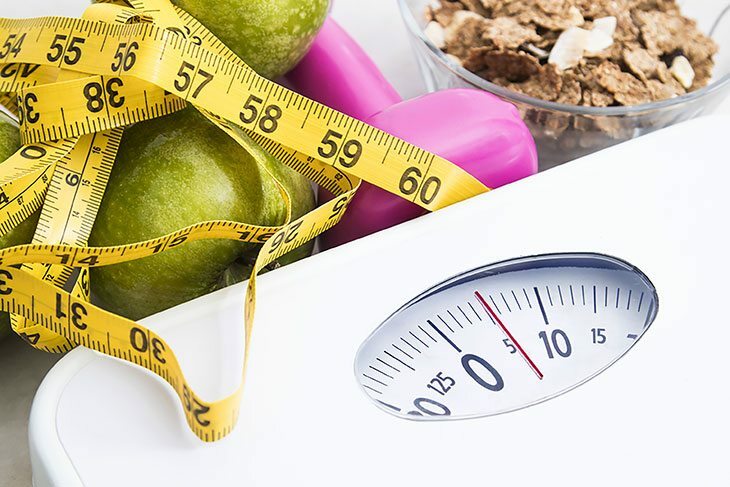 It is a must that you see a doctor before starting or testing this diet to make sure that your body is ready for the changes or if your body can adapt to its sudden changes. It is also essential to consult your doctor for the effect and long-term effects of on your body. Trying the egg fast diet can be tricky especially for people who have allergic reactions to eggs. Consuming an egg is beneficial for your body; doing so can lower the risks of stroke and heart disease. Research conducted in 2015 states that people who are suffering from diabetes and heart disease can now enjoy eggs on a daily basis without higher blood sugar level or cholesterol level. Diets must be followed on a short-term basis. You cannot depend solely on eggs; of course, you also need other vitamins and nutrients from vegetables, fruits, and lean meat. And, you cannot depend solely on eggs; of course, you also need other vitamins and nutrients from vegetables, fruits, and lean meat. Consuming your daily suggested fiber intake is beneficial for your colon and your overall health since it flushes away all the toxins from your body. An egg is considered to be a superfood since they are high in protein and nutrients which our body needs to function. They are a good source of good cholesterol and eggs can lower the risks of heart diseases and stroke. Research states that consuming eggs for breakfast promotes rapid weight loss. Individuals who are trying to manage their weight usually eat tons of egg whites since they are an excellent source of protein. Also, eggs are low in carbohydrates which aid weight loss or management among individuals. Individuals who often partake in the egg fast diet often feel satiated easily because eggs are nutrient-packed. Eggs promote high energy level among individuals who incorporate them into their regimen. Not only will you lose weight, but you will also gain muscles since eggs are rich in protein which is essential for building muscles. 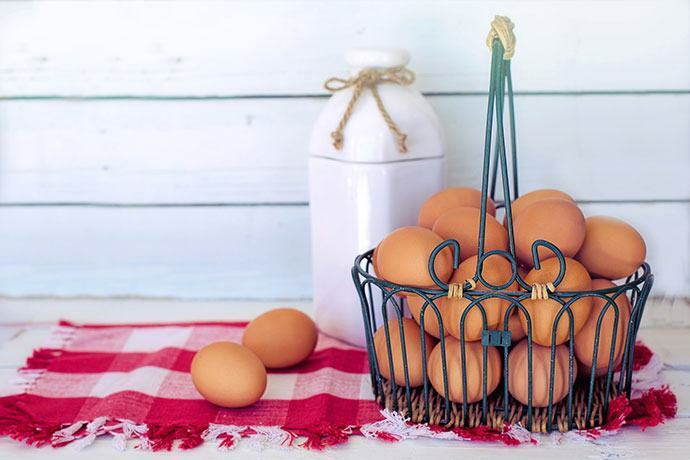 Eggs are packed with nutrients and proteins, but it is also rich in Vitamin B-complex, choline, and omega-6 fatty acids which reduces the pro-inflammatory compound and increases anti-inflammatory compounds. A study in conducted in Harvard University states that women who consume one egg per day have been said to have an 18% reduced the risk of having breast cancer. 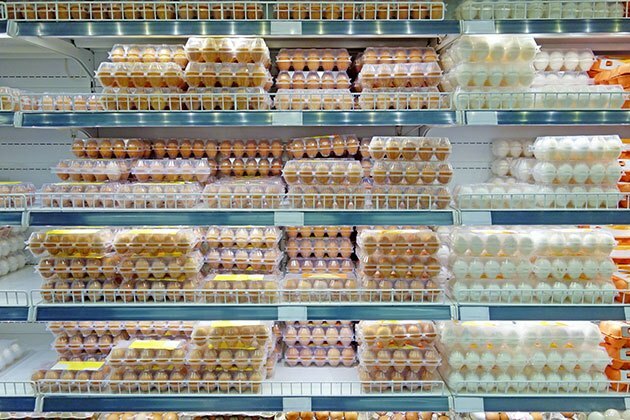 While a study in 2005 states, those women who consumed at least six eggs per week are said to have, 44% reduced the risk of having breast cancer. Traditional egg fast diet does follow strict dietary rules. On this diet, eggs are usually paired with fruits, vegetables, and lean meat such as fish and chicken. There are tons of delicious and healthy egg fast recipes which you can find online. However, fruit servings must be limited to a couple of meals a day. Bread, pasta, and potatoes and other foods that are high in starch and fats are restricted. The eggs only diet is the most extreme form of this diet since you are only allowed to eat eggs, and you might have a difficulty finding recipes online which only uses eggs. You are required to eat hard boiled eggs and drink a lot of water which is why this is not the healthiest type of the egg fast diet since your body will not be getting enough and proper nutrition for it to function. This type of egg fast routine, you are only allowed to consume grapefruit and a limited amount of meat per serving. And, vegetables are strictly not allowed. I was determined to try egg fasting for myself since I've heard a lot of good feedbacks about it. And, I am also a fan of food challenges especially if it promotes healthy weight loss. Also, I have been dealing with my stubborn belly pouch which I want to get rid of before my friend's wedding. I tried working out at least five times a week and eat healthily. However, I am still not seeing results. I want to have at least 27-inch waistline before the wedding. My waistline was 29 inches prior egg fasting. And, I chose to go for the strict and restrictive 'eggs only' diet, while continuing with my usual routines like working out. I was super determined, and I felt motivated on my first day. I cooked and prepared my meals throughout the day. Also, I tried doing some workout. The moment I woke up, I immediately drank a glass of water and ate a hardboiled egg since I must consume an egg within 30 minutes of waking. After finishing my first egg for the day, I proceeded with my workout. During the workout, I felt a sudden energy boost since I do not necessarily eat before I work out. I felt energetic and ended up doing an additional set. When it is time for breakfast, I suddenly felt hungry, and I ate my egg and cheese omelet. Then I went to work, and when it is time for my morning snack at 10:00 am I consumed one hardboiled egg which I drizzled some salt on to taste. I still feel full, but I have to follow the rules, so I ate some eggs. By lunch, I still feel full and satiated and, I could barely finish my egg and cheese omelet, and my co-workers cannot stop asking me why I’m munching on eggs. I ended up finishing only half of my omelet. When it is time for my afternoon snack, I find myself craving for a sandwich, and my mouth suddenly feels so dry it also started to taste. After finishing my afternoon snack, I brushed my teeth and went back to work. I start to feel a little cranky because I cannot stop obsessing about food. I ate my dinner by 6:00 pm and then prepared for bed. On my second day, I measured my waistline the moment I woke up. I am not a fan of weighing scales, and I prefer to measure myself by my waistline. Surprisingly, I lost an inch off of my waistline. From 29 inches I am now down to 28 inches. I must admit I am proud and happy about my progress, but I found myself craving for bagels. I prepared the same meals and did the same routine from yesterday since I do not have many options because I cannot incorporate fruits into my diet. As time went by I felt irritated, nauseous, and light-headed I was tempted to eat the frozen grapes in the fridge which my mom sent me. But, it is a matter of willpower. Instead, I chewed ice cubes to stop my craving. I also tried putting three slices of lime and cucumber in my water, which helps me with my cravings and my breath since I do not have to brush my teeth as often as I did yesterday. I also feel out of place since I am the only one who is doing the diet while my coworkers eat their usual food. My afternoon snack was the hardest, I was satiated, and I did eat the egg. However, I got tempted and ate an apple in my office cafeteria, and I felt my mood to feel a little better. I felt guilty because I cheated. However, I still felt proud because I even chose to eat something healthy instead of giving in to my cravings. When I went home, I felt super exhausted and weak, but I still tried to eat my last meal for the day. The third and final day of my egg fast diet is pretty exciting. I was pretty excited since I can soon eat 'normal' food the next day. With that being said, I switched up my meals instead of my usual cheese omelet I opted to do scrambled eggs with cheese and pepper. I prepared scrambled eggs for breakfast, lunch, and dinner. And, I still made two hardboiled eggs for my morning and afternoon snack with freshly squeezed orange juice. Also, I still did my usual routine and workout, but with pep in my step, because I feel incredibly confident and less bloated. On my third day, my body is starting to adapt to the diet and routine. However, I still feel a little week, and my lips are incredibly dry. I can see that my skin looks good, and noticed that I did not have breakouts granted that the past few days have been very stressful for me. However, this type of diet made me constipated since I am not consuming enough calories and I am not incorporating fiber-rich foods into my diet. But, I feel confident because my coworkers noticed that I lost weight and that I look slim and my skin is glowing. After just three days, I was shocked and at the same time delighted to see that I lost 3.5 inches off of my waistline. From 29 inches, my waistline is down to 25.5 inches. I am pleased with the rapid weight loss, and my belly pouch is gone, and I finally have a flat tummy, thanks to the routine. Not only did I lose weight, but I also have a better-looking skin with a youthful glow which is very impressive. And the egg fast diet worked and gave me quick results. There’s no question when it comes to how effective this diet is. Plus, it is very inexpensive, and meals are easy to prepare. On the fourth day, I was slowly going back to eating my usual meals which consist of brown rice, chicken breast, fish, fruits, and vegetables. I was indeed excited to go back to my typical diet which includes fiber-rich foods which help me with my digestion. Honestly, I was so excited to finally eat fruits, lean meat, vegetables, and some occasional guilty pleasures like ice cream and burgers. Remember the frozen grapes in my fridge? Thank G, it’s Friday! I finally ate them as soon as I came home from my office. After I ate my dinner which consists of pesto and grilled chicken breast, I then proceeded to treat myself with a warm bath and face mask while eating frozen grapes and a glass of wine while binge-watching Riverdale on Netflix. And I gained back 1 inch on my waist, which is entirely okay because I expected to gain some weight back since I am eating complete meals, in comparison with just eating eggs for three days. I highly recommend this diet if you are looking for a quick fix for your weight loss dilemma. But, is it effective? Yes. If you want rapid results for a short amount of time, then the routine is for you. However, it is quite difficult for people who want variety on their meal, but you can also try other types of egg fast diets which incorporates fresh fruits and vegetable or lean meat. Doing an egg fast diet which required me to eat eggs only, is no easy feat. I admit I failed and found myself eating fruits or incorporating fruit juices, but otherwise, they are still healthy. But, that’s the beauty of it; you can modify your diet and find the best options for you. Trying the routine for three days is very effective especially for beginners, like me, and it is best to consult your doctor before doing the diet. It is also essential to prepare your body before starting your egg fast. However, if you have been incorporating the diet into your regimen, you can do a more extended or extensive fasting period which usually takes 5 to 7 days. Depending on the span and period of your egg fast, you are guaranteed to lose more weight, and it can be an excellent option for people who need to lose a significant amount of weight in a matter of days. However, I do not recommend doing this meal plan for longer than 7 days since you are depriving yourself of getting enough nutrients, and it can also lead to various complications which may lead to high blood pressure, heart disease, and diabetes.